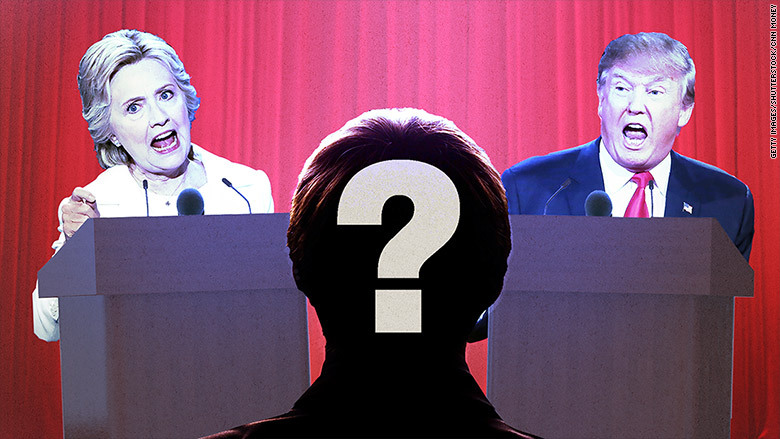 The first presidential debate between Hillary Clinton and Donald Trump is in just over a month, and yet neither candidate knows who the moderator will be. They won't know until after Labor Day, sources with knowledge of the matter told CNNMoney. The Commission on Presidential Debates had planned to announce moderators in late August, but it now intends to wait until after September 5, the sources said. The delay is due in part to an unprecedented challenge the bipartisan Commission faces in selecting individuals who are immune (or at least as immune as possible) to accusations of bias. While that is always a concern for the Commission, the sources said it is more challenging than ever this time around due to one factor: Donald Trump. The last thing the Commission wants is for the moderator to become part of the story about a debate. Yet Trump's aggressive attacks on the media and complaints about unfair treatment have effectively guaranteed that the moderators will come under scrutiny from conservatives. This has made the Commission even more cautious than usual in researching potential moderators, sources said. The Commission fears that Trump would use even the slightest whiff of a pro-Clinton bias to attack a moderator and undermine his or her credibility. Their efforts are complicated by the fact that Clinton has been a public figure for 30 years and has developed unique relationships with certain journalists. For example: One source said that Charlie Rose was unlikely to be selected because a 2012 Wall Street Journal report placed him and the Clintons in a "close group" of celebrities and political figures who spent a Christmas vacation at Oscar De La Renta's house in the Dominican Republic. The appearance of any friendship between candidate and moderator is likely to cause a stir, as it did last cycle when The Daily Caller reported that President Barack Obama had been a guest at the 1991 wedding of ABC News correspondent Martha Raddatz, the moderator of the vice presidential debate. (The groom had worked with Obama on the Harvard Law Review.) ABC called the controversy "absurd," but it nevertheless served as a distraction. The Commission is also likely to pass over any television personality who has had a dust-up with either candidate. So while Fox News host Megyn Kelly has been one of the most prominent media personalities in the 2016 cycle because of her public spat with Trump, she will almost certainly not be invited to moderate a debate for exactly that reason. 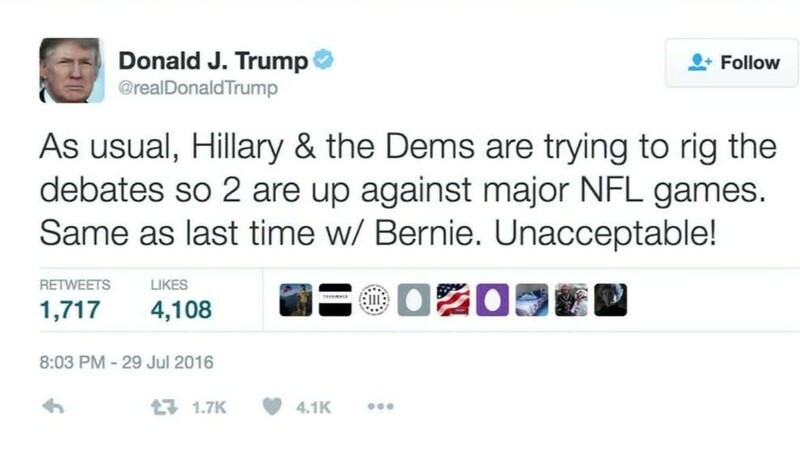 Instead, the Commission is looking at candidates who -- in addition to being qualified and capable of moderating a debate -- have no ties to Clinton or Trump, no record of controversy with either candidate, and a reputation for being fair and evenhanded. Here, the Commission is handicapped by the absence of Jim Lehrer and Bob Schieffer, two elder statesmen of political journalism whom the Commission frequently relied upon to serve as moderators. Both men retired from moderating debates after the 2012 cycle and joined the Commission's board of directors, though Schieffer it left earlier this year in order to return to CBS News as an occasional contributor. While both men had mixed reviews for their performances as moderators, Lehrer and Schieffer were veterans in their field and largely trusted by the general public. They also understood that the role of the moderator was to preside over a debate between the candidates, not to become a part of it. As Schieffer told CNNMoney, "nobody comes to the baseball game to see the umpires. They come to see the players." While Schieffer declined to speculate on who the Commission might select, he seemed optimistic that it would make the right choices. "There are some really good people out there," he said, "and I have real confidence in the Commission."